Noel Gallagher may not want to reform ‘90s Britpop group Oasis, but he’s willing to take SOME former band members back into the fold. Just not his baby brother and lead vocalist Liam, obviously, with whom he remains estranged since Oasis’ 2009 breakup. 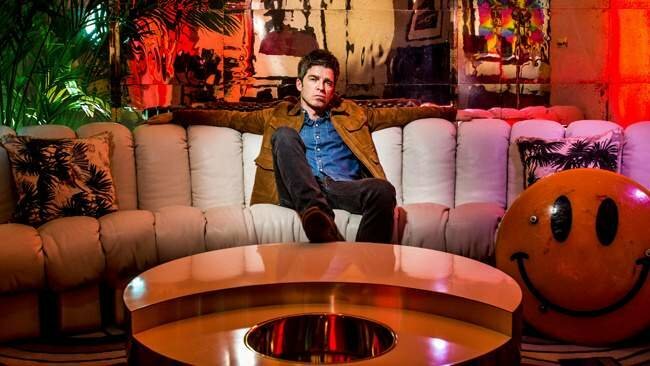 Still, for the expansive-sounding Who Built The Moon?, the just-released third disc from Noel Gallagher’s High Flying Birds, Gallagher welcomed back one-time Oasis drummer Chris Sharrock and guitarist Gem Archer to play on the record. 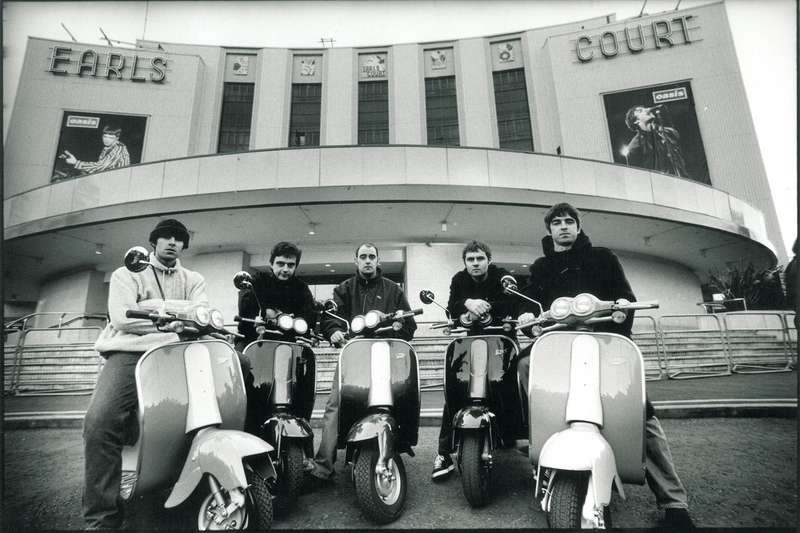 The two musicians had more recently performed with Liam’s band Beady Eye, which broke up in 2014. “Well, they came crawling back on their hands and knees,” joked Gallagher, who plays Toronto’s Sony Centre on Feb. 20 in one of two NGHFB Canadian dates. We caught up with Gallagher, 50, down the line from New York City. You didn’t really give Gem and Chris a hard time about working with Liam did you? The truth of it is that Beady Eye had split up about, well, like a year before and I was looking to shake things up a bit anyway in the band. And just said, ‘Would you fancy getting on board?’ And they said, ‘F—ing yes please.’ And that was it. You’ve had a woman playing scissors with you and someone at one of Liam’s shows showed up with a potato peeler? Will you counter? No. I believe the potato peeler was a joke right? So not funny to you? And how did someone who plays scissors end up with you? Charlotte Marionneau is in a band called Le Volume Courbe, and she’s the singer and she also plays the scissors. As far as I’m aware, she’s the world’s first one and only scissors player. And she asked if she could play them in my band and I said, ‘Yeah, why not?’ This whole thing is revolutionary. Is that your wife Sara MacDonald with her back to us on the cover of the new NGHFB record? That’s right yeah. That was shot in a basement flat and the background I have no idea where that was shot but the guy who did my artwork happens to be my postman. He shot that. Well, the original cover was a picture that we cut out of the National Geographic magazine from the late ‘50s. And it was a picture of woman in Havana but we couldn’t use the picture so had to try and recreate it. So we used my wife as the model because she happened to be sat cross the f—ing kitchen table from me when I came up with the idea. And the guy who did my art work, and the whole campaign, is my postman. Yep. I played him the record and he would go off on his rounds and would listen to it and then he would say, ‘I think we should do something like this.’ He’s got a natural eye. He’s about to become a professional artist. He’s a f—ing genius but he didn’t know it at the time. I believed in him. Has he quit his day job then? Not just yet. He’s just had a baby girl and I think he’s going to try to juggle the two for a while. The new record, produced by soundtrack composer David Holmes in his native Belfast, is definitely a departure which you’ve described as “cosmic pop.” What were the two of you listening to? I’ve got to put a playlist together one day for some f—ing s—y website somewhere and probably put on all the tracks that we did listen to. But everything from Kanye (West) to obscure bubblegum pop like Ice Cream to Blondie to film soundtracks to French f—ing pop. Where did Paul Weller and Johnny Marr, who play organ and guitar, on Holy Mountain and If Love is the Law, respectively, play? They came to London. In the case of Paul, Paul insisted he play on Holy Mountain. In the case of Johnny, I gotten to the dead end with the song that he’s on and I needed some guitar thing that I couldn’t come up with and I called him and said, ‘Can you come and help me out?’ And he was gracious enough to stop what he was doing and get on a train. Was your Narcos-themed 50th birthday party earlier this year as much as fun as the pictures looked and do you feel any different at a half-century? (Jokes) I can’t remember. I guess I do (feel 50). I’m not sure what 50 is supposed to feel like. I feel good. I look f—ing great. Given what happened at the Ariana Grande concert in Manchester, where the Oasis song, Don’t Look Back in Anger, became an anthem in the aftermath, is beefed up concert security including metal detectors just a way of life now? It’s a depressing thought, but yeah. I’ve got to say, particularly in England, our political leaders seem powerless to do anything about it. European f—ing law dictates that these people have the right to practise extremism in our country and there’s nothing you can f—ing do about it. Do you feel vulnerable given the frequency of terrorist attacks in England? It was very scary spring and summer we had. Yeah, it was dreadful, dreadful times. And you know, this is not the last time it’s going to f—ing happen. It’s going to keep happening until somebody has the balls to do something radical. Has that made you personally make any changes in how you get around? I get more sad and angry but I still have to take public transport because I don’t drive. And I get worried about my daughter (Anais). She’s 17. She lives her life on public transport and it’s all random. And when she kisses me goodbye and she’s going off to take the tube it could be the last time I ever f—ing see her.